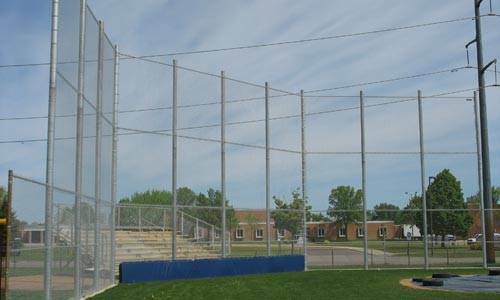 Fencing around athletic fields for baseball, softball, tennis, ice hockey and ice skating is crucial to safety, enjoyment for players and fans, and to define boundaries. 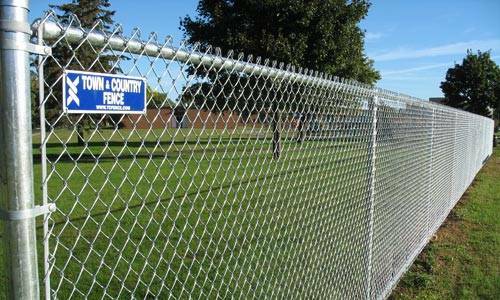 For cities, private clubs, recreation centers, schools, and even for private residences, creating the proper fencing for outdoor sports facilities is an important need. 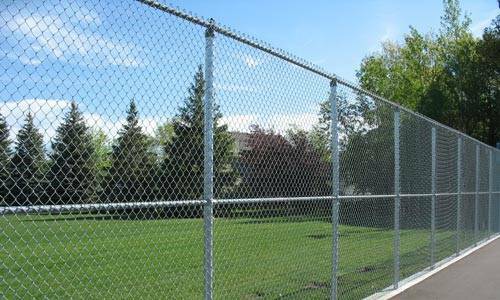 As a leading commercial fencing company in the Twin Cities, this type of work is a specialty of ours, and we carry all the products you need for any facility. 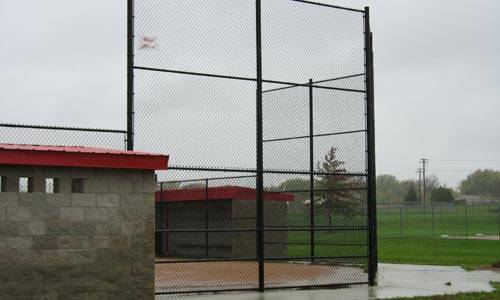 Our designers can create the fence that fits your facility, our experienced installation crews can quickly build any athletic and sports fencing, or you can purchase the materials at our supplies store for your own crews to install. 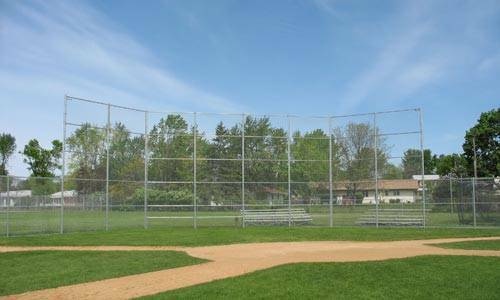 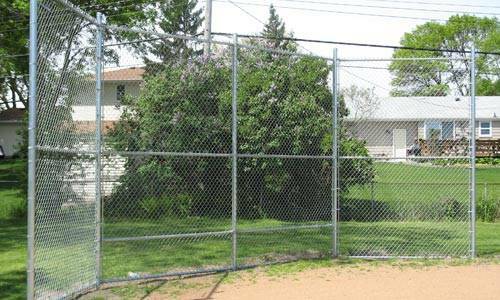 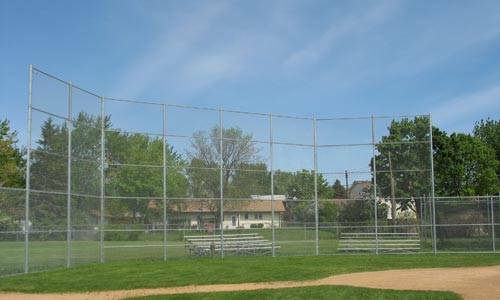 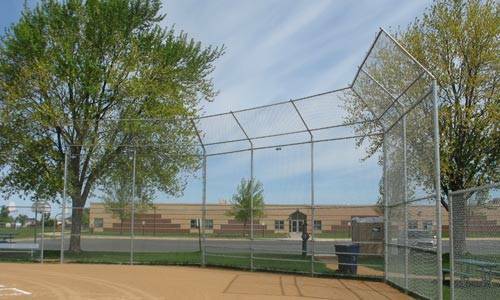 Backstops – Baseball and softball are perennial favorite sports in Minnesota. 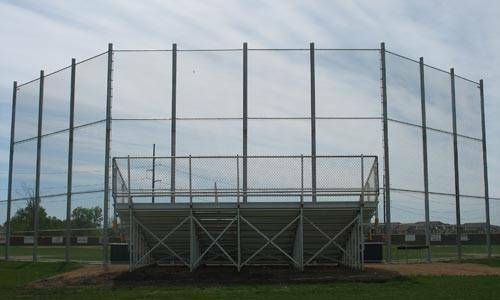 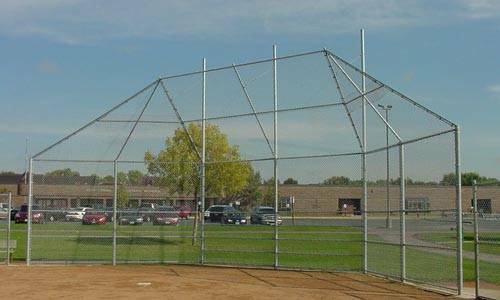 Proper backstops are a prime need for any baseball or softball field, and we can supply any style of backstop you require. 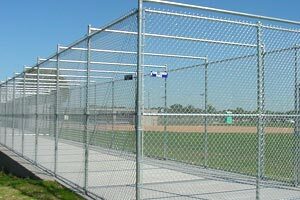 Perimeters and Outfields – Define the sports fields and control entry to authorized personnel with perimeter fencing for any type of sport with our extensive range products. 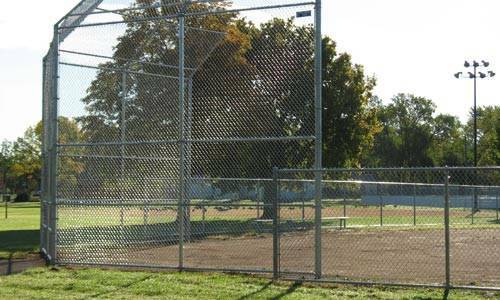 Tennis Courts – For tennis courts, our 10′ high enclosure is ideal. 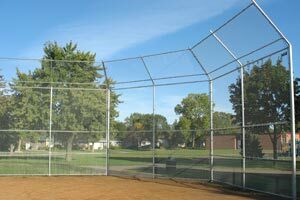 Complete enclosure kits are available for complete or DIY installation. 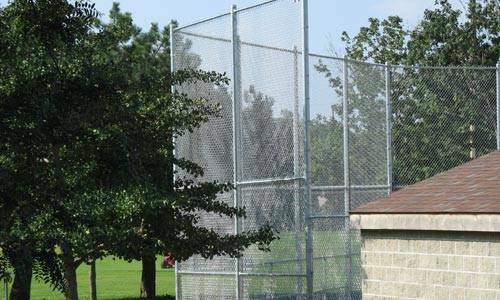 Golf and Baseball Netting – Keep balls under control and protect spectators with this nylon netting, sized precisely for the job, weather-treated, and ready to use. 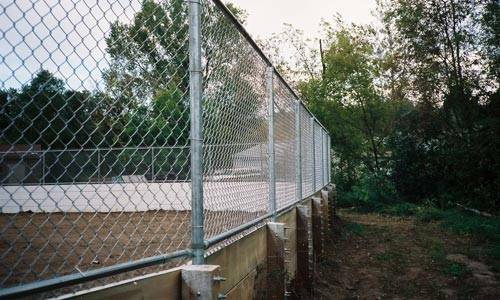 Hockey and Ice Skating Rinks – Ice rink enclosure fencing can be installed quickly and professionally to meet any specification. 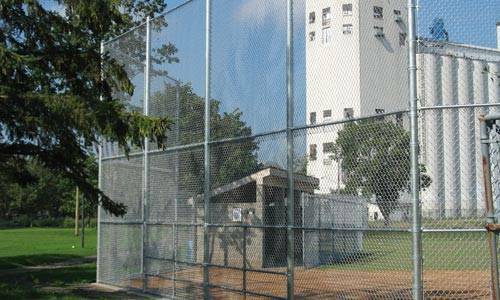 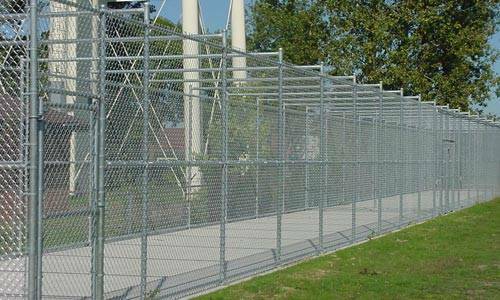 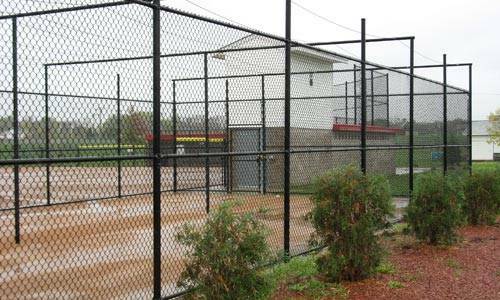 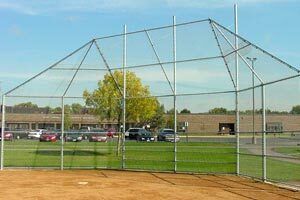 Batting Cages – Create one, or as many batting cages as you need with fencing to match your design specifications. 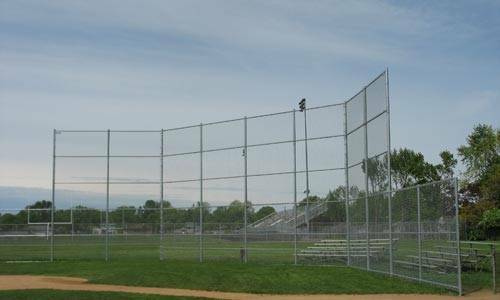 Spectator Safety and Control – Protect spectators from injury and control field access with proper crowd management. 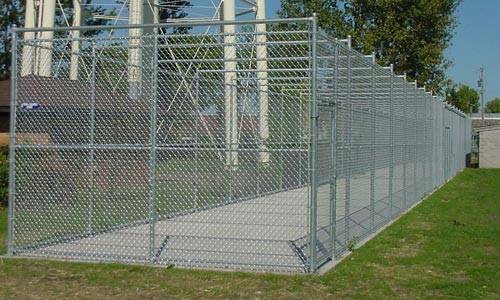 We provide a wide range of gate operators, turnstiles, temporary fences and other products. 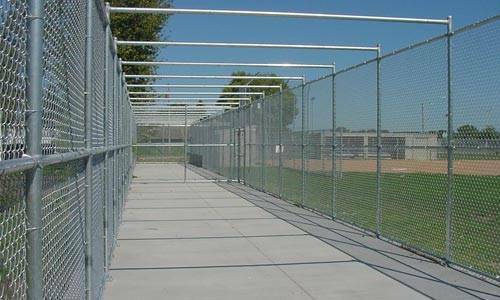 Locker Room Cages – Our interior partition products are idea for creating equipment and other interior rooms. 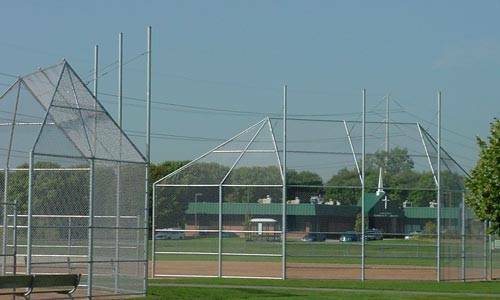 Athletic Field Fence Accessories – From fence guards for player safety and trim savers to simplify field maintenance, to tennis court accessories, we design and install any athletic field fencing accessories. 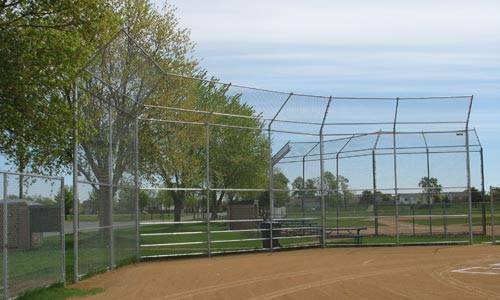 At our Minnesota fence supplies and installation company, we understand the needs of outdoor sports facilities, and have researched the specialty products that you need for baseball, softball and tennis court fencing. 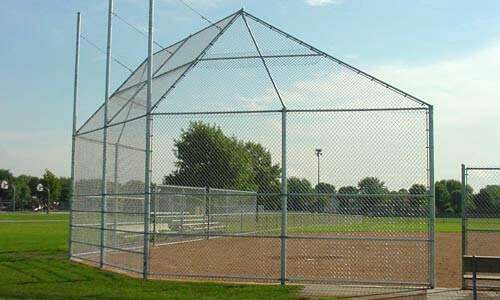 From specialized sports fencing and netting and temporary crowd control solutions, to custom-designed backstops and tennis court enclosures, our company is your one-stop shop. 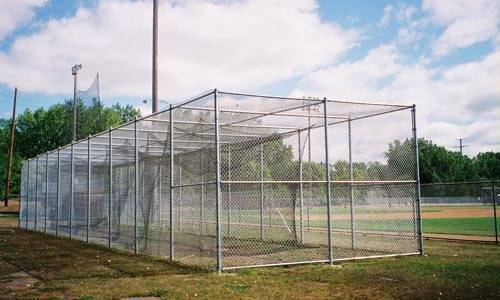 We have earned the reputation of providing top-quality products and services at affordable prices. 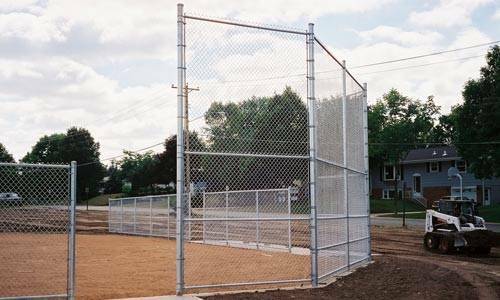 We keep our cost low by purchasing high quantities of products from manufacturers and suppliers at discounted prices. 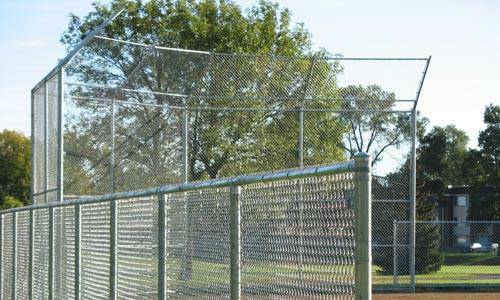 Our savings mean more affordability to our customers. 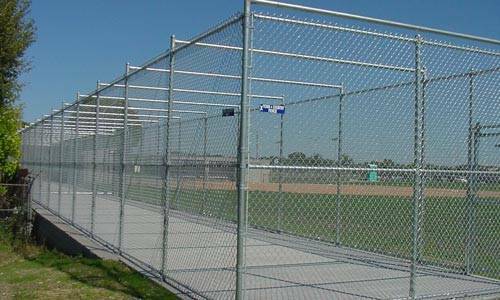 Our experienced sales staff is ready to provide free onsite price estimate and consultation. 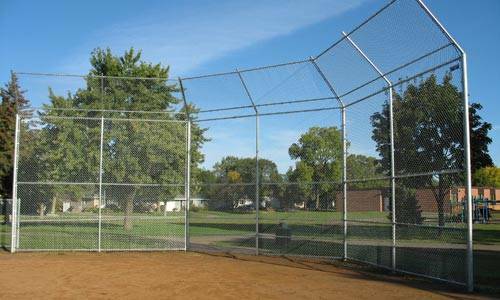 We never use high-pressure sales tactics to make a sale. 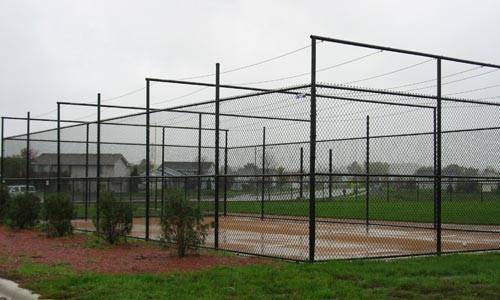 Instead, we educate our customers and let them make an informed decision own their own. 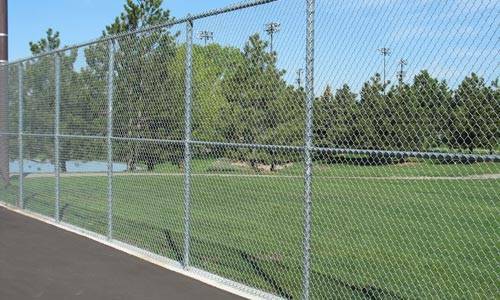 As the leading fencing contractor in the Twin Cities metro area, we are proud to offer all the supplies you need for every athletic fencing need, right here in the Minneapolis St. Paul area. 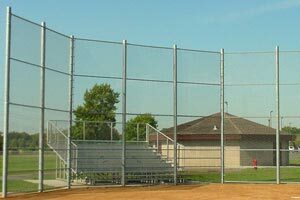 As with all the products we supply and install, we provide you the durability, true value and economy that you expect. 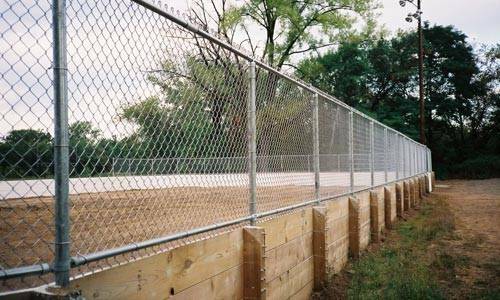 Whether we install your sports fencing or supply products to your specifications for your own crews to install, you can count on us for speedy service and outstanding support after the sale. 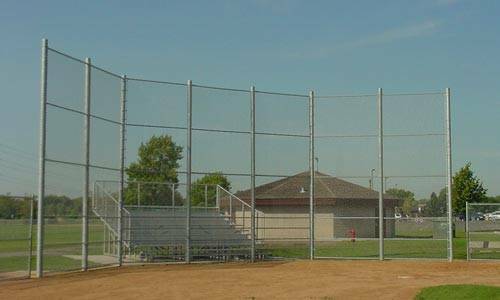 Contact us with your project specifications or ideas and we’ll gladly work with you to help create a great facility.